CNF is supporting 16 of the 33 Key Protected Areas—over 400,000 ha of wilderness. Protected areas are the parks, nature reserves and sanctuaries—whether land or sea—least touched by human development. These areas give plants and wildlife the space and resources needed to maintain healthy natural populations and are vital to biodiversity conservation. There is an extensive network of national parks and nature reserves in the Caucasus, but severe under-funding puts them at risk of becoming nothing more than “paper parks” outlined on a map, while in fact, they are regularly exploited through illegal development, poaching and logging. CNF’s aim is to support the key protected areas in the South Caucasus with long-term funding and capacity building. We work with local government agencies to develop effective management strategies and long-range planning that emphasizes transparency and accountability. Read more about Our Approach. small infrastructure projects, such as building and trail maintenance, but also the construction of small facilities such as ranger or tourist shelters. 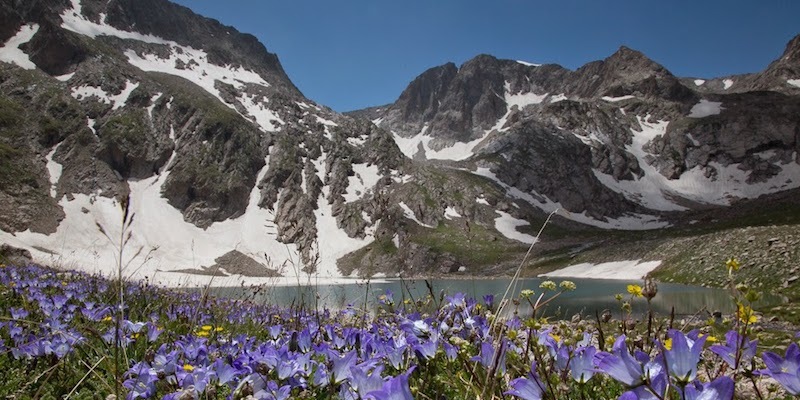 CNF aims to support 20 of the Caucasus’ key protected areas by 2020. The parks are chosen on the basis of their biological importance, the presence of appropriate legal and administrative structures, and opportunities for coordination with other donors in the region to increase the impact of our funding. Overall the ecoregion has about 1.7 million hectares of protected areas. Armenia has more than 380,000 hectares, Azerbaijan more than 800,000 hectares and Georgia almost 500,000 hectares. Within the three countries there are 33 main protected area complexes, these are the parks CNF is focusing its efforts. More detailed information on CNF supported parks and projects is provided on the individual park pages below.